Rich Rinaldi has a message for skiers who think the Teton backcountry is too crowded: “If you’re willing to get up early and you’re motivated, you can still be ahead of the pack,” he says. Rinaldi should know. 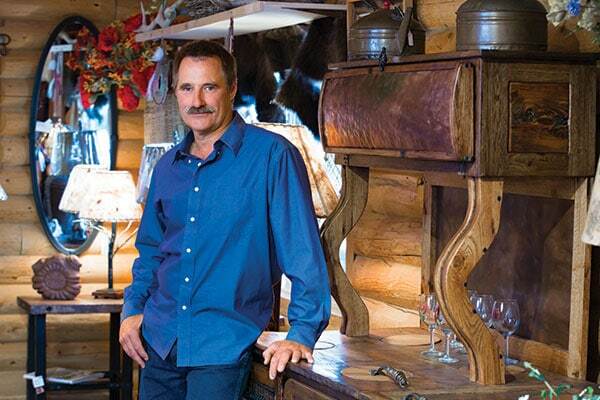 He has been in the Teton Valley, Idaho, ski industry for more than two decades. He started as Nordic director at Grand Targhee Resort and worked as a backcountry guide with Yostmark Backcountry Tours. 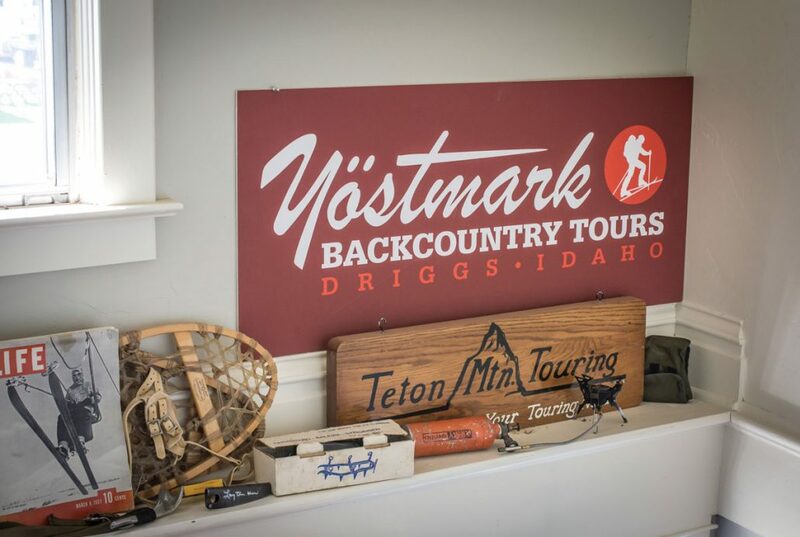 That was in addition to his work with the Yostmark Mountain Equipment mountaineering and ski shop in Driggs, Idaho, which was founded by Clair Yost in 1993. Yost was a pioneer of modern ski technology, creating the Mountain Noodle, one of the first soft, fat powder skis. But 13 years ago, Yost was looking for a new business venture, so he sold both the store and the guiding business to Rinaldi. The retail side of the business has created stability for Rinaldi and his family, including his wife, Kathy, and sons Leo and Jack, now ages 12 and 8. Year-round income gave him more stability than the boom-and-bust cycle of full-time guiding. He maintained Yost’s business model, outfitting those ready to tackle technical skiing and climbing routes, and teaching novices backcountry travel and avalanche safety along with a small team of instructors. Rinaldi also partners with Grand Targhee Resort to take backcountry visitors looking for solitude across the western Tetons, from Teton Canyon to Teton Pass. Rinaldi has watched the number of backcountry travelers in the region explode, which means more skiers on the classic, sometimes dangerous, lines in the Tetons. 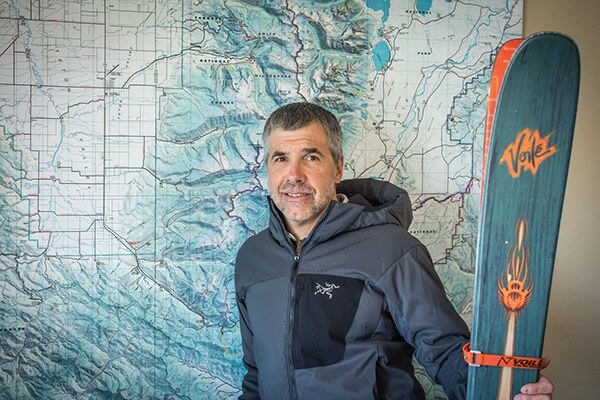 So in addition to offering Avalanche Level I and II certification classes, he created a new offering for those just breaking into the sport: Backcountry 101, now one of his most popular courses. The class entails one informal instructive night session at the shop and a day on the skin-track teaching the basics of how to use a beacon, how to skin and travel on snow, and what to carry for a day in the mountains. Rinaldi has been a backcountry skier “for a long time now,” and he has watched the intensity ramp up across the industry. He said social media, videos, and the influx of people around the Tetons have pushed the level of risk many people are choosing to take even higher. For example, in decades past, many lines on the Grand Teton and Mount Moran’s Skillet Glacier were typically only skied in spring, after melt-freeze cycles quelled the avalanche danger. But now some choose to ski these routes in powder conditions. "We want to prepare people. Because once you get into the alpine, there are no guarantees." Though Rinaldi said the proliferation of backcountry skiing is good for the industry and his business, it requires travelers to be aware, check avalanche and weather reports, and take courses to prepare themselves. He’s happy to educate both veterans and neophytes, and he hopes he can provide the tools and an ethos to keep them safe on the skin-track and beyond. “Backcountry skiing for me has always been about camaraderie, skiing hard, coming home safely, and having a great day with your friends,” he says.